Packaging Size: 500g, 1kg, 2kg, 5kg, 25kg, 50kg. Features: Long Storage Life " Economical in Long Run"
We provide superior quality of D3 Wood Adhesive. These adhesive are extensively used for gluing wood with wood, wood-base materials and laminates. These adhesives are mostly recommended for interior use in areas where enhanced water resistance is required but not exposed to rain use. 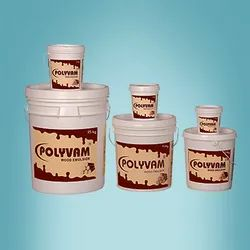 Being a foremost organization in this industry, we are actively engaged in offering the finest quality range of Synthetic Rubber Bond Adhesive. FIXOL wood adhesive is widely and mainly used for unmatched bonding and strength for plywood, laminates, veneer, block board, hard board, particles board and craft works. The rates are for 1 KG tin pack. Rates for higher tin pack configuration will be lesser. Rates for pouch packing will be lesser. 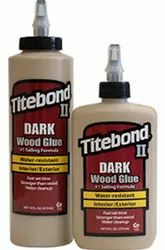 To retain our goodwill in client's consideration, we are manufacturing and supplying an excellent quality range of Wood Adhesive.